Two Florida men charted a course and drove their fishing boat out into the Gulf of Mexico. Using the boat’s compass, they headed to deep waters 60 miles offshore where they hoped to catch grouper. When they arrived at what they thought was the right place, they turned on their depth finder and realized they were nowhere near their target. They discovered that one of them had laid a flashlight near the ship’s compass, and the attached magnet had affected the reading. 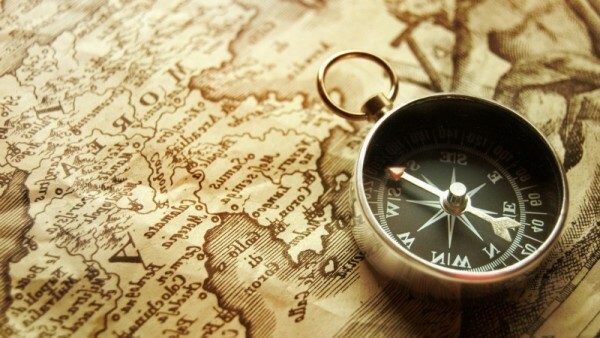 Just as that magnet changed the compass, so our sinful hearts can influence our thinking. Many of Jesus’ countrymen, for example, thought they were moving in the right direction by denying that He was the promised Messiah (Jn. 7:41-42). But the real problem with these people was the bias in their hearts. They resisted Jesus because of the threat He seemed to pose to their religious traditions. Rather than carefully checking all the Scriptures, which would have verified who He was, they settled for what they preferred to believe. And they rejected Him. Because we too can be self-deceived, we must ask the Lord to expose the inner motives that cast shadows across our minds and dim our spiritual discernment (Ps. 139:24). With His help, we can get back on course. To avoid self-deception, seek God’s direction.